Dressing a room is similar to dressing yourself. Start with basics and dress it up with art, lighting and accessories. This room, designed by Pulp Design Studios (that’s us! ), inspired these fashion selections with its basic neutrals, mixture of textures and a little glitz. 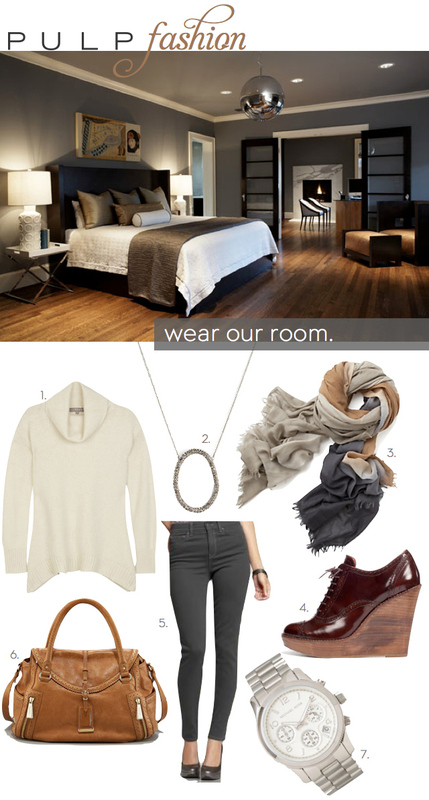 The end result…a simple cozy fall ensemble. Does your home resemble the way you dress?